Congratulations to all our students who performed, received gold medals and graduated at our Calgary Convocation weekend. We're proud of you and wish you absolute success in all your future endeavours! Your Diploma will be presented to you at Convocation. If you do not attend Convocation, then your Diploma will be printed and mailed to you based on the information on file before January 1, 2019. 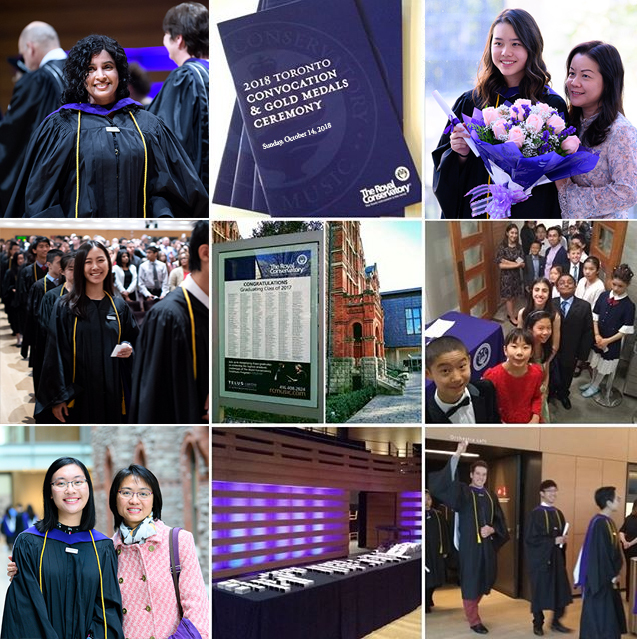 The Royal Conservatory offers a selection of specially designed frames and mats to showcase and protect your Diploma via Tempo Framing Systems, specialists in academic certificate framing. Frames will be shipped within two to three weeks of the order date and are subject to applicable shipping and handling fees. The Convocation ceremony celebrates student achievement over the previous calendar year. All students who complete their Diploma requirements between January and December will graduate together. If you have further questions about Convocation please contact us at 416.408.5019 / 1.800.461.6058.